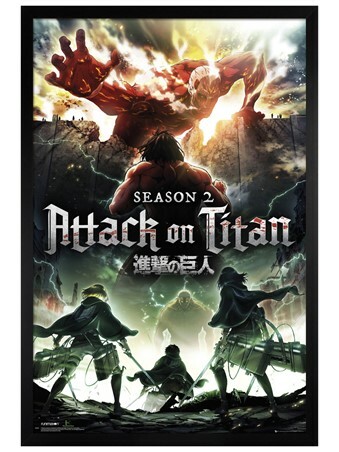 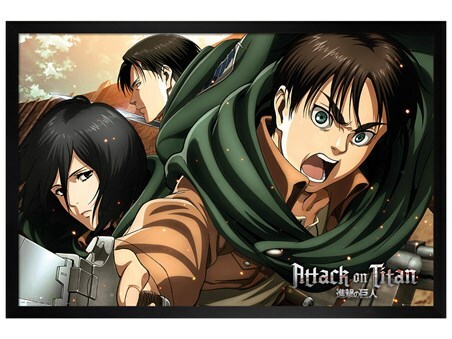 Anime Poster: Attack on Titan is a Japanese manga series adapted for comics, books and TV. 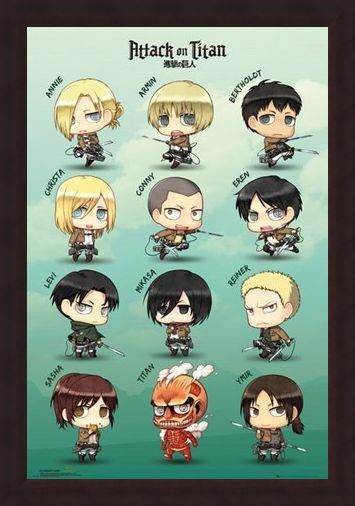 The main characters are Eren, Mikasa and Armin who join the military to protect their world within walls from a flesh eating Titan invasion. 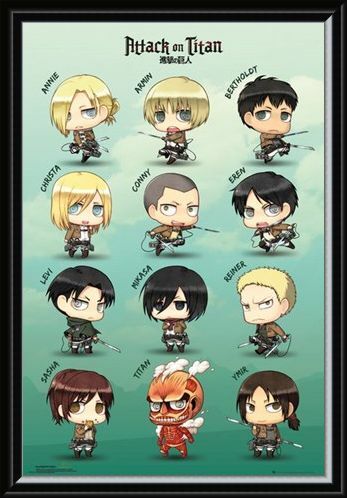 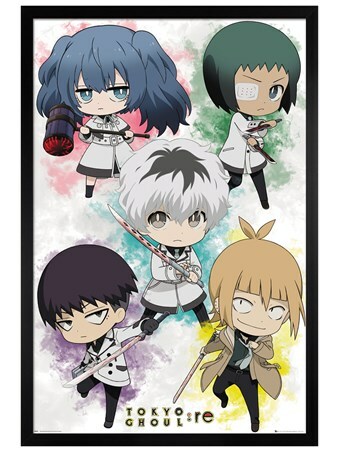 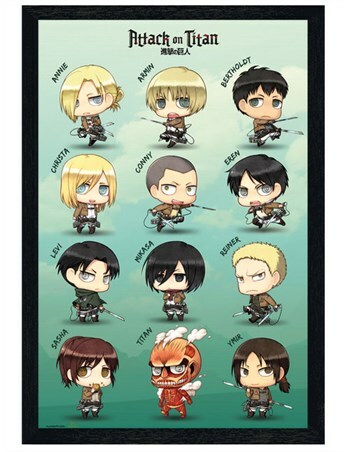 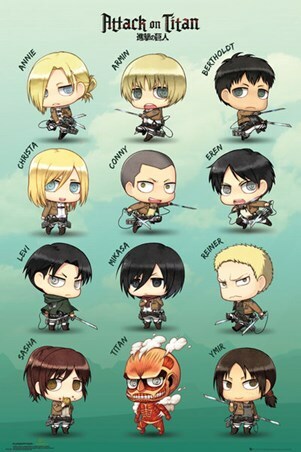 In this adorable poster 12 main characters have been drawn in the style of Chibi, Japanese slang for short person or small child making this a charming addition to your AOT memorabilia. High quality, framed Chibi Characters, Attack On Titan poster with a bespoke frame by our custom framing service.